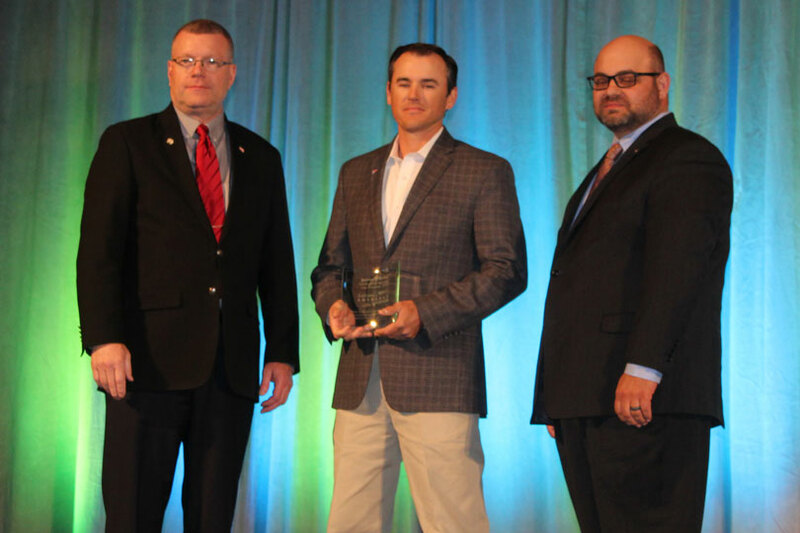 Bee County Farm Bureau member James O’Brien was one of 10 graduates of the American Farm Bureau Federation’s (AFBF) Partners in Advocacy Leadership (PAL) program. PAL is designed to develop advocates for agriculture and grow leaders to help advance the policy goals of Farm Bureau. PAL consists of four modules across a two-year period in which participants develop leadership skills and learn to properly form and deliver effective messages. One of the most significant aspects of PAL for O’Brien, a seventh-generation rancher who runs a cow-calf operation in Beeville and also raises American Quarter horses, was the focus on developing messages for the audiences agriculture needs to reach. Forming those messages is an important part of agricultural advocacy, O’Brien said. Legislative leaders also influence the decision-making process for farmers and ranchers, so developing relationships and communicating properly with those lawmakers is imperative. PAL also helped prepare participants to be more comfortable with media interviews, O’Brien said. O’Brien decided to apply for the program to hone his advocacy skills and learn to better communicate with those who want to know more about food safety and food quality. Local food trends have opened markets closer to home for O’Brien and other farmers and ranchers across the country. Joining PAL equipped O’Brien with the knowledge and skills to engage with consumers, while also appropriately handling any negative attention that comes along with new ventures. Before participating in the program, O’Brien didn’t feel confident when advocating for agriculture, feeling as if there were many others with more knowledge and experience that could speak out. He now knows he can be a voice for agriculture. O’Brien used the communication skills he learned through PAL to help him when he was interviewed by The Western Horseman for an article documenting recovery efforts after Hurricane Harvey. It was an honor to be selected to participate in PAL, O’Brien said. Not only did the program provide an incredible opportunity to develop as a leader, O’Brien was able to learn from interacting with his fellow participants. Having completed PAL, he now feels prepared to effectively represent agriculture. Other graduates of the PAL class include Angi Bailey, Oregon; John Boelts, Arizona; April Clayton, Washington; Becca Ferry, Utah; Amy France, Kansas; Amelia Kent, Louisiana; Matt Niswander, Tennessee; Tyson Roberts, Utah; and Jamie Tiralla, Maryland.